Two very important pieces of the puzzle include: Your client’s goals and the review you perform on your own social media presence. It’s important for you to take a look at the effectiveness of your current content, networking and marketing strategies so that you are able to build a strategy based on what is working well and eliminate the strategies that are not. What are my client’s goals? How can I make it easier for my clients to achieve their goals? We want to have a clear understanding of our client’s goals, and strategize on how we can help them achieve those goals. If for example, we know that our client’s primary goal is to build her mailing list, then we know that the strategy has to include list building techniques that make sense on the social media platform she’s using. In real estate, we know our clients are looking for homes and information on real estate to help them make the right decision. This allows us to post information relating to real estate which will ultimately assist their decisions in purchasing or selling their properties. Understanding our client’s goals also helps us know which platforms to focus on to meet those goals. As social media strategists, we understand that there are some platforms that are better suited to reach certain goals such as Pinterest for list building + traffic, Facebook, Instagram, + Twitter for networking, and Twitter, Instagram, + Facebook for cultivating communities. Your next step after you have a tentative roadmap from the social media review and clients’ goals is to move onto analyzing our client's target audience. The core of our strategy involves getting content in front of the right people. This involves searching through Facebook groups, Instagram hashtags, Pinterest boards, etc. This is the most crucial part of the strategy because it forces you to research and evaluate ideas and marketing techniques. Next is the fun part of the strategy: pulling together the content, marketing ideas, and networking strategies that will result in an engaged audience who will take the desired actions our client is hoping for. Based on the platform, the strategy to accomplish each goal might look a little different. For example, networking on Twitter might mean participating in Twitter chats at least once per month, while on Instagram that could look like exploring a relevant, industry hashtag each week and connecting with Instagram users who fit your ideal client avatar. The time that you are able to devote to social media is also an important factor. Some people are able to be more generous with their time on social media or perhaps have a relaxed schedule where they can spend up to 2 hours per day on networking. It won’t serve a purpose if you design a strategy you are unable to fulfil. Being able to implement a strategy with realistic goals takes time. After you are confident that you have designed a strategy that fits your schedule and paves the way towards your goals, it’s time to break down your goals into the daily, weekly and monthly action steps in order to reach your ultimate focus. This is my favourite part because I love planning! And it gives me assurance to see a breakdown of my goals as opposed to just a few goals with no real direction as to how I am supposed to achieve those goals. When the strategy is complete, start doing the steps you have planned out and modifying your strategy as you see fit. I usually see results within the first week or implementing my strategy and it all depends on the outcome of your research. If you looked in all of the right places and were realistic with your goals, it can be easier to achieve. 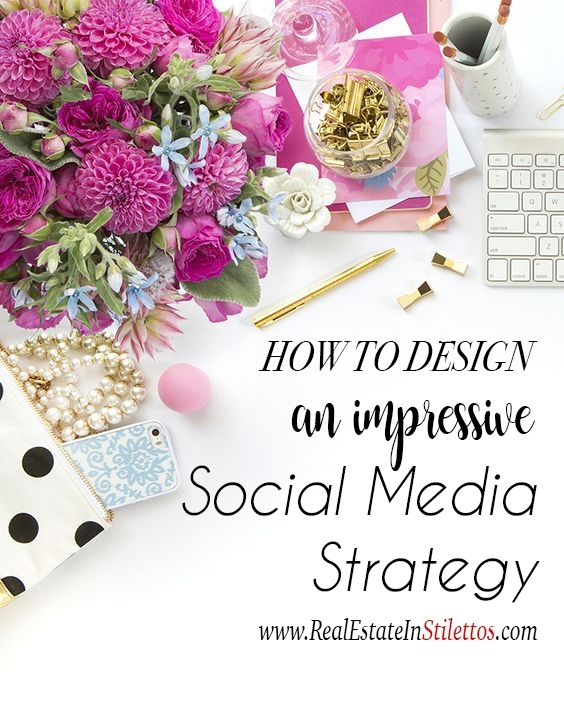 Designing social media strategies involves quite a bit of work, but it is so worth it when you actually see results, and of course money in your bank!